Mark April 2 on your calendar for An Evening With… Dolly, then be sure to stop by your nearest Cracker Barrel Old Country Store® location to pick up your copy of this first-ever Cracker Barrel exclusive two-disc DVD and CD set retailing for only $11.99. The DVD and CD transport you to a front row seat in London as Dolly performs some of her most popular songs “Coat of Many Colors,” “9 to 5,” and “Jolene,” live in front of her sold-out O2 arena concert. Classics like Dolly’s very first million seller, “Here You Come Again” and “I Will Always Love You,” along with previously unreleased live bonus tracks “Shattered Image” and “My Tennessee Mountain Home,” combine in a memorable collection. 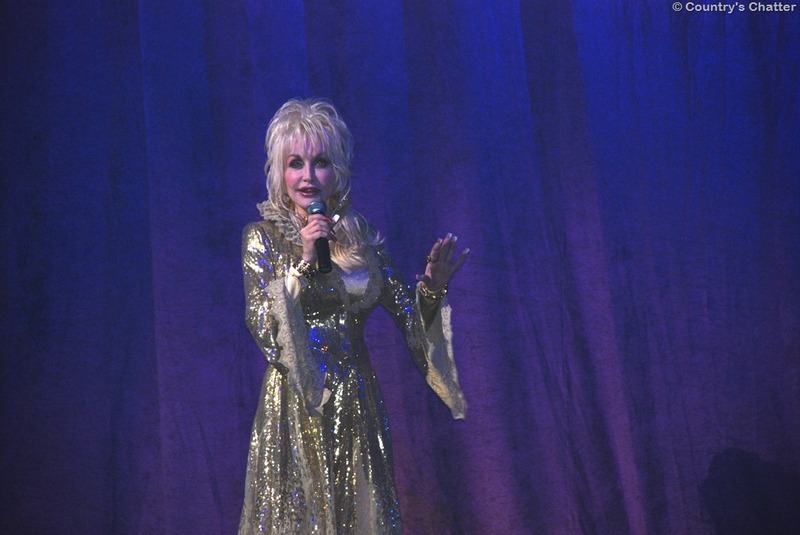 The DVD captures Dolly interacting with the audience, sharing stories about growing up in Tennessee, and in the “Soundcheck” feature, fans get to take a peek backstage and see the inner workings of the show. An Evening With…Dolly will be available exclusively at all Cracker Barrel Old Country Store locations and online at crackerbarrel.com/music. 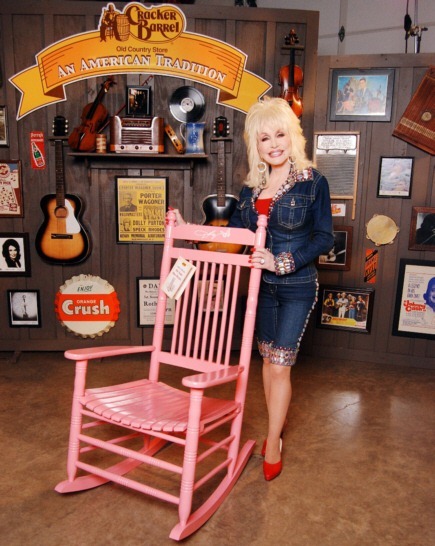 An Evening With… Dolly is the latest in Cracker Barrel’s exclusive music program. In January, Cracker Barrel released the Gospel Side of Dailey & Vincent CD. In September of 2011, The Oak Ridge Boys’ CD It’s Only Natural was released through Cracker Barrel’s exclusive music program. In July, Cracker Barrel released Jason Michael Carroll’s all-country Numbers with 11 new songs and one previous hit. In May, Cracker Barrel released Teddy Gentry’s Best New Nashville with original music from 12 talented new artists and Randy Travis’ self-titled album Randy Travis. In March of this year, Cracker Barrel released Kenny Rogers’ The Love of God, which debuted at #8 on the Billboard Top Country Albums chart and #2 on the Top Christian Albums chart. In January, Cracker Barrel released The Grascals & Friends – Country Classics With A Bluegrass Spin, which debuted at #1 on Billboard magazine’s Bluegrass Albums chart and at #26 on Billboard’s Top Country Albums chart. In November 2010, Cracker Barrel released Smokey Robinson’s Now & Then, which debuted at #19 on Billboard magazine’s R&B chart and was nominated for an NAACP IMAGE AWARD. September saw the release of the self-titled Rodney Atkins, which included four #1 hits, and Mandy Barnett’s Winter Wonderland. Over the last few years, Cracker Barrel has released exclusive CDs with Craig Morgan, Wynonna, Dailey & Vincent, Alan Jackson, the Zac Brown Band, George Jones, Montgomery Gentry, Dolly Parton, Bill Gaither, Ricky Skaggs, Aaron Tippin, Alison Krauss & Union Station, Josh Turner, Amy Grant, Kenny Rogers, Sara Evans and Charlie Daniels. About Cracker Barrel : Cracker Barrel Old Country Store provides a friendly home-away-from-home in its old country stores and restaurants. Guests are cared for like family while relaxing and enjoying real home-style food and shopping that’s surprisingly unique, genuinely fun and reminiscent of America’s country heritage…all at a fair price. The restaurant serves up delicious, home-style country food such as meatloaf and homemade chicken n’ dumplins as well as its made from scratch biscuits using an old family recipe. The authentic old country retail store is fun to shop and offers unique gifts and self-indulgences. Cracker Barrel Old Country Store, Inc. (Nasdaq: CBRL) was established in 1969 in Lebanon, Tenn. and operates 612 company-owned locations in 42 states. Every Cracker Barrel unit is open seven days a week with hours Sunday through Thursday, 6 a.m. – 10 p.m., and Friday and Saturday, 6 a.m. – 11 p.m. For more information, visit crackerbarrel.com. That’s all for now – hope you had a wonderful Monday!